Early last fall, I completed a fun (but hectic) project for Maine Medical Center that I can now share. 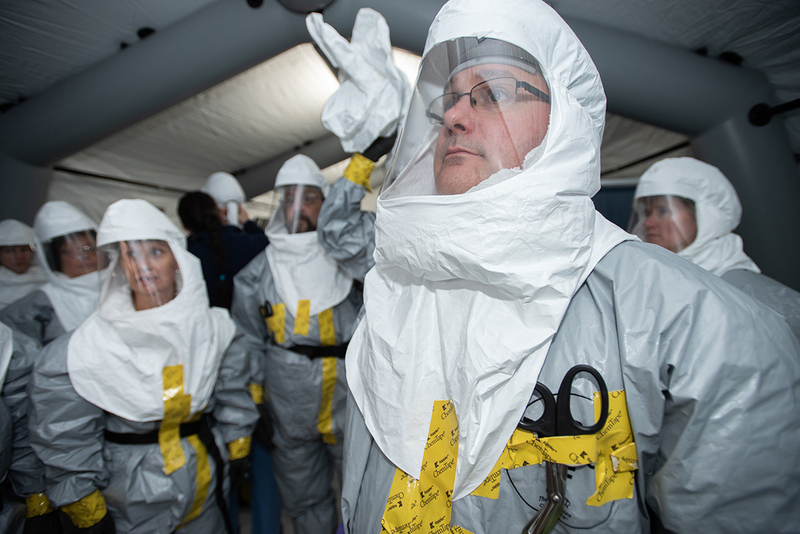 It was a readiness drill simulating a mass casualty incident involving biological or chemical contamination, as in a spill, industrial accident or terrorist incident. 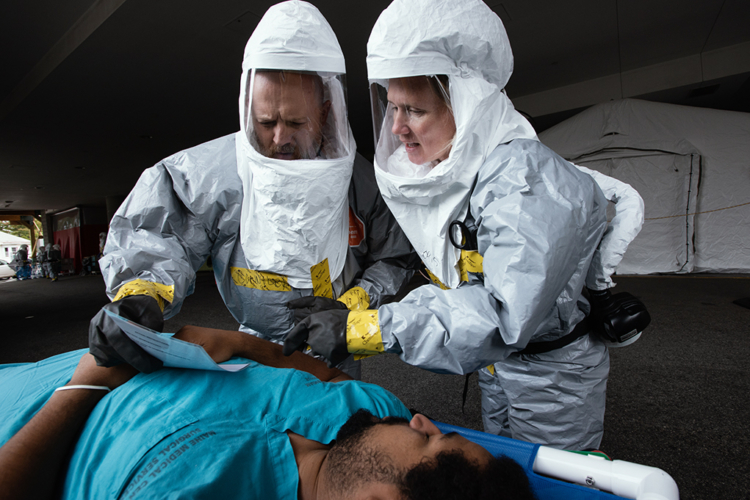 Involving dozens of medical staff, doctors, students volunteering as mock patients, observers and hospital administration, these types of drills give the hospital staff hands-on practice coordinating assets to triage, decontaminate and treat an overwhelming number of patients. Much of my daily work is very purposeful and planned, so going into a large scenario like this one was like stepping back into my newspaper photojournalism days. It was fast-paced and fun, at least for me (I’m not sure the college kids being scrubbed down in decontamination showers would say the same). 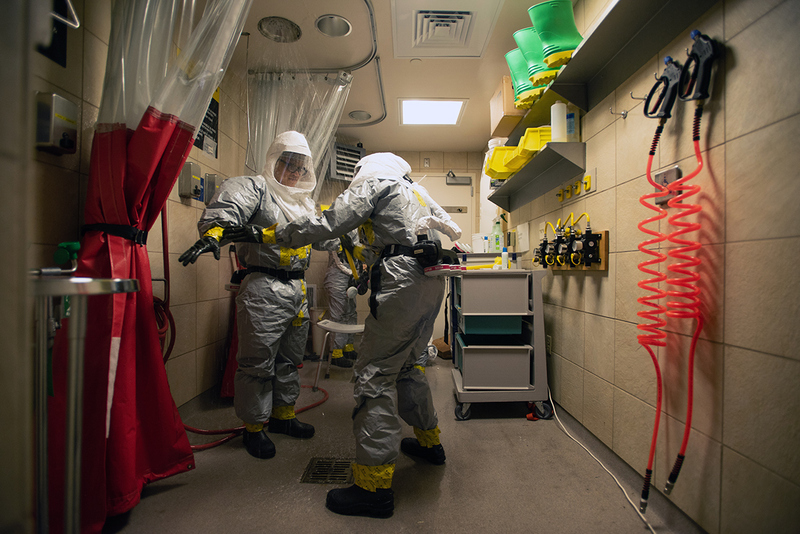 These images became part of the documentation used by the hospital to certify their ability to respond to significant mass casualty events. ← Focus on Shadows and Take Your Photography to the Next Level.